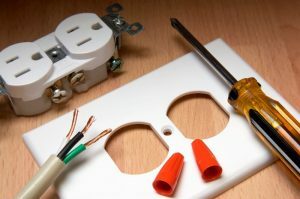 There are a number of projects within your home that can be “do-it-yourself” (DIY) projects, but some typically require the assistance of a trained and experienced professional—such as electrical work. Finding trustworthy and affordable electricians can be a challenge, but you want to ensure that you’re going with someone who not only has your home’s energy demands in mind, but your safety as well. Choosing a general handyman or an overenthusiastic neighbor might cost less upfront, but in the long run it could wind up costing you more in repairs. Additionally, you could find yourself facing injury and property damage. Keep reading to learn some of our reasoning behind why it’s so important to only choose a professional electrician for whatever electrical service you need done. Does Your Home Need New Windows? 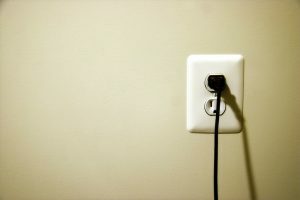 Not many homeowners think very much about this, but homes today are built with energy efficiency in mind. This means that construction is tight, as to not allow any conditioned air to escape. 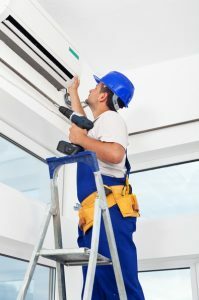 Factors like proper insulation, weatherstripping, and keeping your doors and windows closed when you run your HVAC system help with this as well. However, the latter doesn’t do much good if you need window replacement service. Drafty windows or older windows that are losing their seal can result in your losing out on a lot of your conditioned air. This means during the winter you may keep turning your thermostat up to make up for the cold air entering your home and the warm air leaving, and pay for energy that you shouldn’t even have to. But how do you know if your home actually does need window replacement? Posted in Window and Door | Comments Off on Does Your Home Need New Windows? Remodeling Your Home? Consider Installing New Windows! There are a lot of different ways that you can improve your home through remodeling, both in terms of aesthetics and energy efficiency. 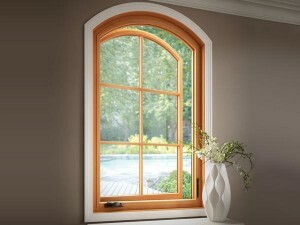 If you’re looking for a way to improve your home, one area that you may not know about is new windows! The kind of windows you have installed in your home can have a number of effects on your comfort, and even the energy efficiency of your home. Have a look below at some of the ways that new windows might be a good idea for your remodeling project this year. Posted in Window and Door | Comments Off on Remodeling Your Home? Consider Installing New Windows! 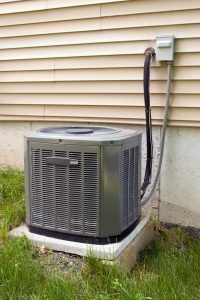 There are a lot of different issues that can afflict your air conditioner, some of which are more dangerous to the system than others. One of the biggest threats is something that often goes unnoticed by homeowners: refrigerant leaks. 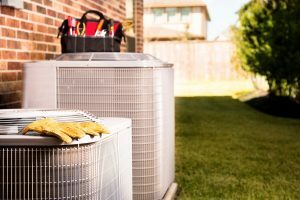 While a refrigerant leak in your air conditioner may be small, it can actually cause the entire air conditioner to break down if you’re not careful. Have a look at some of the reasons why it’s so important to have refrigerant leaks repaired as soon as possible. The electrical system is one of the most important parts of your home. Most of the other appliances you use on a daily basis rely on it at least a little, so it’s a good idea to make sure it stays in good shape. It’s also not a bad idea to upgrade your electrical system every once in a while. Wiring, outlets, and panels age and wear out just like any other system. If it’s been a while since you’ve invested in upgrading your electrical system, here are some great ways to get started. 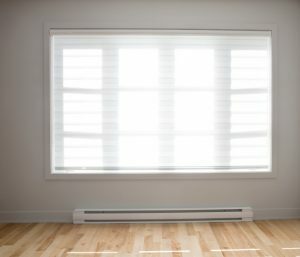 It’s Time for Spring Ductless Mini Split Maintenance! With winter drawing to a close, it’s time to start thinking about getting your home ready for the summer season. That may seem rather premature, with the average temperatures hovering around the mid-40s right now. Still, it’s better to make preparations now than to have to rush through them in the middle of a heat wave later. One of the most important parts of preparing for the summer season, from a climate control perspective, is to schedule preventive maintenance for your system. That goes double for heat pump systems like ductless mini splits. Posted in Heat Pumps | Comments Off on It’s Time for Spring Ductless Mini Split Maintenance! 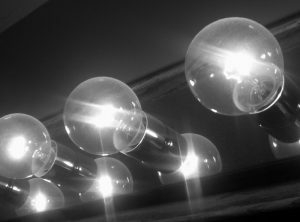 Flickering lights are often used in movies to indicate that there’s something spooky going on. In real life, however, the issue is much less exciting and terrifying. You probably don’t have a faceless ghost stalking through your home if your lights are flickering. What you do likely have, though, is a problem with your electrical system. This has the potential to be incredibly damaging and dangerous if left unchecked, so read on to find out what to do about it. Posted in Electrical | Comments Off on Why Are My Lights Flickering? For the most part, homeowners tend to neglect their electrical panels until they need to interact with them for some reason. That makes sense, in a way. If you’re not stumbling over to the circuit breaker in the dark, cursing softly to yourself while you try to get the lights back on after a circuit tripped, why would you bother thinking about the panel at all? Here’s the thing about that, though: Your electrical panel is susceptible to developing its own problems over time. And considering how important the panel is for protecting your electrical system, you’re going to want to get it repaired as quickly as possible if you want to keep things safe. 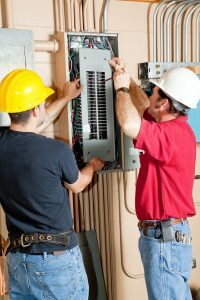 Have a look at some of the following indications that your electrical panel needs repairs. Why is My Heat Pump Stuck in Cooling Mode? Are you using a heat pump to keep warm this winter? Are you trying to, but the system is not heating for some reason? If your heat pump appears to be stuck in cooling mode, it is likely due to a problem with the reversing valve. It should not be difficult for a professional to resolve the issue for you, but you should call for repairs as soon as you notice it. Read on to find out why. 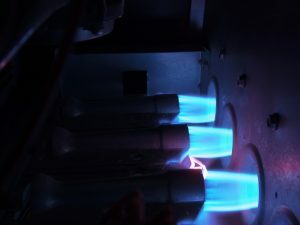 Posted in Heat Pumps | Comments Off on Why is My Heat Pump Stuck in Cooling Mode? Do I Need a New Furnace This Fall? The weather is getting pretty cold now, and it’s going to get colder soon. If you don’t have a heating system installed in your home that you can rely on, now is definitely the time to replace it. You don’t want to risk your furnace breaking down on you in the middle of winter. If you’re unsure whether or not your furnace can actually get you through another heating season, check out some of the symptoms below. These symptoms tend to indicate that it’s a good idea to replace your furnace. Posted in Heating | Comments Off on Do I Need a New Furnace This Fall?